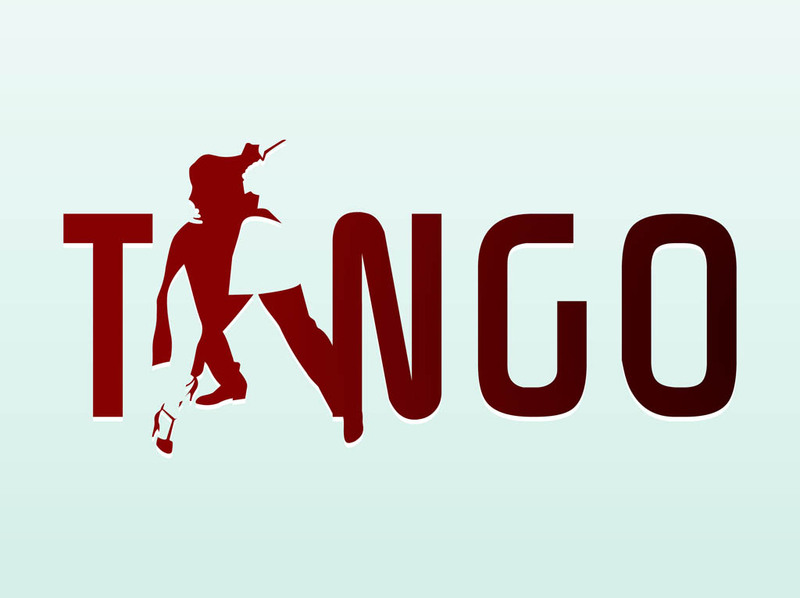 Type art vector graphics with the word “tango”. Letter A shaped like a dancing couple. Passionate dance text art to decorate posters, party invitations, concert flyers, club adverts, wallpapers and organization logos. Free vector for dancing, passion, couples, music and Latin America designs. Tags: Argentina, Couple, Dance, Logo, Music, Passion, Text Art, Type.